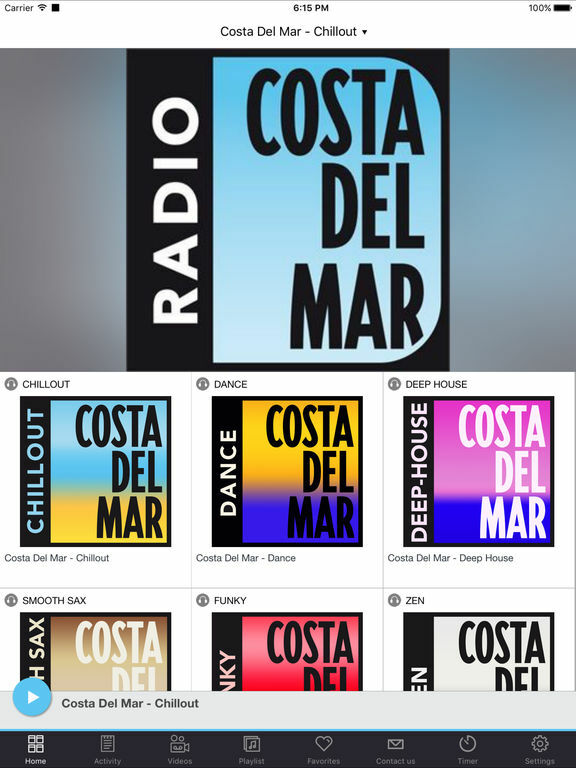 "Costa Del Mar" is a radio 100% Chill-Out music from IBIZA. 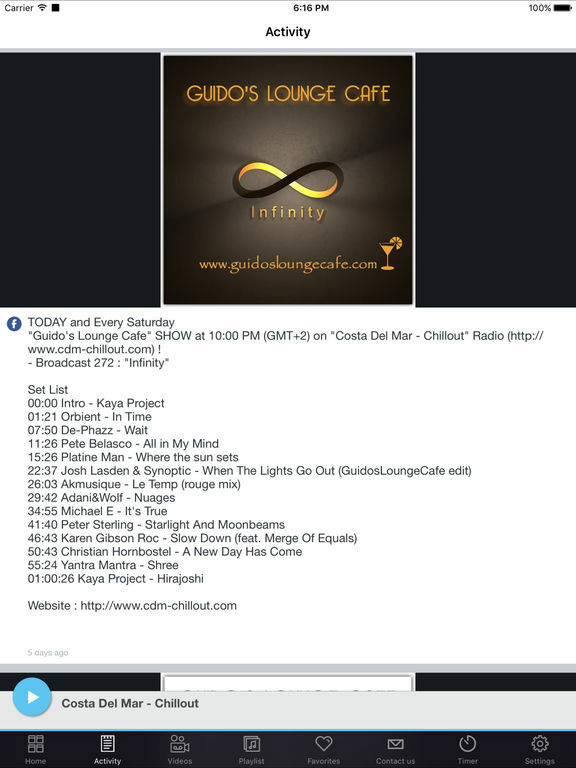 "Costa Del Mar" selects the best of Ambient, Lounge, Easy Listening and Chillout Music from all over the world. With a powerful programming and always with good taste, the station is at the forefront of all new releases. 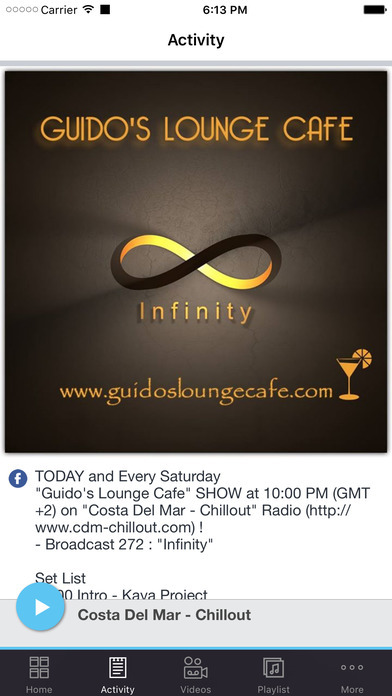 "Costa Del Mar" works together with the top Chillout artists always promoting their latest creations for the delight of the listeners. 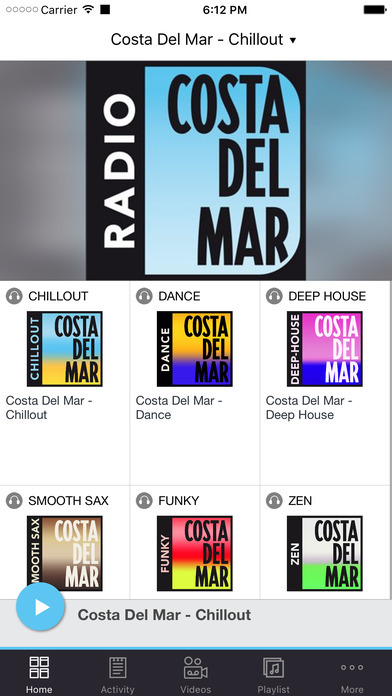 "Costa Del Mar" is the highest ranking and most listened to digital radio network for Ambient, Lounge, Easy Listening, Downtempo and Chillout music fans around the globe and it is now available anywhere you want to listen with your iPhone, iPad, or iPodTouch. Visit us online at http://www.costadelmar-radio.com to learn more. This application is the official, exclusive application for Costa Del Mar - Chillout under an agreement between Costa Del Mar - Chillout and Nobex Technologies.